This is a miniature casket for toy and model cars. It is not a real casket. This is a resin casket for 1/24 and 1/25 scale hearses and G scale dioramas. it has minor air bubbles and flash and requires minimal clean up. 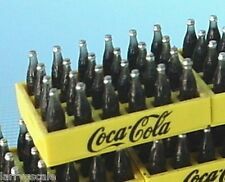 Coca Cola Case of Quart Bottles 1/24 Scale G Scale Diorama Accessory Item (s). INCLUDES 10 CASES OF DANBURY MINT COCA COLA BOTTLES. BOTTLES NOT INTENDED TO BE REMOVED. 1:1 Scale Weapon Models. Reality In Scale. Montex Mask. Star Wars Collectibles. Hobby Craft. Copper State Models. Super Scale Int. Hobby Zone. DAVE'S DECALS. DECAL SETS are overall 4.25" X 5.5”. Decals must be cut out as they are not die cut. CLEAR for white/silver or very light background. I can’t fix it if I don’t know about it. I’m pretty easy going and communication is key. Utility Pole 1/24 scale 1/25 scale G scale train and diorama detail handmade! Scale Utility pole. 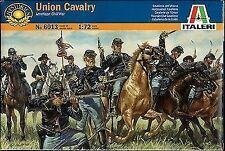 Perfect for G scale and 1/25 scale dioramas as well. Photo's are of what you will receive. Don't forget back then most car dealers and gas stations had one. Hand Crafted - Wood - Green Felt - Mirror - Decals - brass knobs. 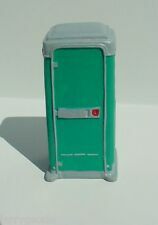 Snap On Tool Box Style B Upright w Coasters 1/24 Scale G Scale Diorama Accessory. New, Hard to Find Authentic Looking Upright Snap On Tool Box on Coasters in 1/24 Scale G Scale. Snap On Tool Box is All Rigid Plastic with Embossed Drawer Pull Bars and Arrives EXACTLY as Pictured. Paragon Designs. 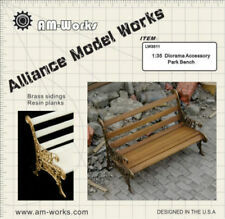 Alliance Model Works. Loose Cannon Models. 1:1 Scale Weapon Models. Hobby Boss. Valkyrie Miniature. Star Wars Collectibles. Eagle Strike Decals. Diorama Accessories. Verlinden Built Models. Montex Mask. Star Wars Collectibles. Copper State Models. Royal Model. Eagle Strike Decals. Eagle Cals. 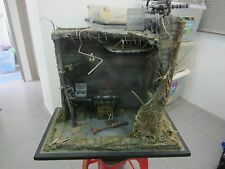 This is a highly detailed Ice Machine ready for your diorama or model layout. They are printed at 200 microns resolution which is very detailed. This item is sold with authentic decals. 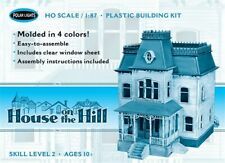 This item designed for 1/24 – 1/25 – 1/32 scale. 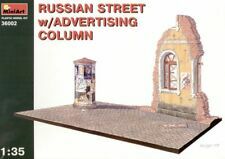 Includes Two (2) 50 Gallon Drum Miniatures 1/24 Scale G Scale Weathered Industrial Drums w Spigots. Quality Miniatures, Cast poly Resin and Arriving Hand Painted as Pictured. Flickering Burn Barrels. These barrels add incredible realism to your dioramas, any closer to real and you could feel the heat ! Diorama Accessories. Montex Mask. Helpful Links. Failure to comply with this will result in unpaid item filing. Yahu Model. WingNut Wings. Warpaint Books. Verlinden Built Models. Diorama Accessories. Eureka XXL. Live Resin. Copper State Models. Microscale Decals. Master Model. Failure to comply with this will result in unpaid item filing. Yahu Model. The pigment set is used to create effects of stone and cement on models and dioramas. Includes a step by step guide by Chema Cabrero to assist in creating the effects of stone and cement on models and dioramas. This new set replaces earlier version (ref. 73198). 4 x 35ml bottles included. Colors: 73.121 Desert Dust 73.104 Light Sienna 73.105 Natural Sienna 73.114 Dark Slate Grey . 2 Pc Set Gal and Tub. Matching Set w Gal Made for Tub. You Will Need to Secure as Desired When in Your Final Display Pos. Produced by AMT in 1:25 Scale. Can be used anywhere on the model because it dries clear as glass. Plastic Model Kit. There are many other reasons and I would love to share them with you if you are interested. 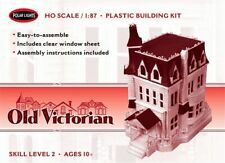 This is a detailed authentic Furnace ready for your diorama, dollhouse or model layout. Printed in PLA. Painted in authentic color. I modeled this around my furnace in my utility room. It's almost an exact duplicate. WILL ALSO WORK IN 1/18 SCALE. FAN ARRIVES HAND PAINTED AND EXACTLY AS PICTURED. 1:1 Scale Weapon Models. Reality In Scale. Montex Mask. Star Wars Collectibles. Copper State Models. Super Scale Int. Loose Cannon Models. Failure to comply with this will result in unpaid item filing. Loose Cannon Models. 1:1 Scale Weapon Models. Bob Smith Industries. Reality In Scale. Planet Models. Star Wars Collectibles. Eagle Strike Decals. Copper State Models. 1/18 MINI DRILL PRESS. DRILL PRESS ONLY. CUSTOM MADE FROM 3 D PRINTER RESIN DESIGN. THIS IS NOT A TOY. 1/18 SCALE.3 in 3/4 TALL. 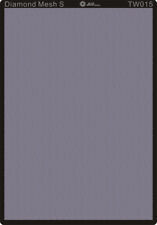 One Painted Gray. LAST ONE LEFT ONLY IN RED. ALL OTHER ITEM IN PICTURE'S ARE NOT INCLUDED. SAW MILL BLADE MINIATURE 1/24 G SCALE DIORAMA ITEM. FEATURED HERE IS A MINIATURE 1/24 SCALE G SCALE SAW MILL BLADE FOR YOUR MINIATURE LOGGING OPERATIONS. (PALLET NOT INCLUDED). Will Work 1/32 Scale Through 1/24 Scale. DAVE'S DECALS. Decals must be cut out as they are not die cut. NO WHITE appear on decals. I can’t fix it if I don’t know about it. I’m pretty easy going and communication is key. DECAL SETS are overall 4.25" X 2.5”. 1:1 Scale Weapon Models. Reality In Scale. Copper State Models. TAHK / TANK. Tommy's War. Super Scale Int. Failure to comply with this will result in unpaid item filing. Live Resin. .Palm Tree 8in.TallScenery Desert Jungle Scenery Arab K&C JGM 1/30 1/32 54-60MM.